Posted by Dan on January 23, 2015, updated January 26, 2016. The crowds have gathered for your site’s big launch. You eagerly pull back the curtain, and the audience gasps in amazement. The buzz is music to your ears. 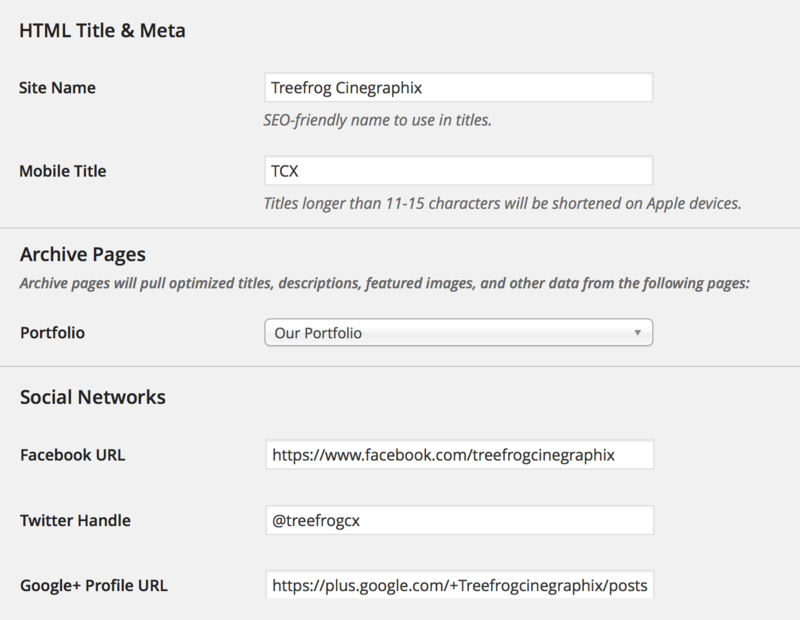 “We should get Treefrog to do our new site,” you overhear amidst the oohs and aahs. The content is well-crafted for your target demographic, and the design is ready for whatever devices they’re using. This you know, but when you look out among the crowd, you’re surprised to see who’s sitting in the front row. A cartel of hardened tech giants, scrutinizing every corner of your site. You freeze in terror. This guy’s a big deal. You’re not sure if he’s being sarcastic, but your fears wash away. “Really speaks to me, y’know?” He laughs. You laugh too, full of relief. There’s a palpable air of acceptance among him and his peers. Pinterest snaps a commemorative photo. You’re in. Gone are the days when social media sites were insular communication platforms. Today, they’re writing the rules along-side search engines. They want to understand your content so that your pages can speak to their users in more relevant ways. When they crawl your site, they look for bits of code specifically placed to clue them in. This is where Canopy comes to the rescue. As a sensible default, your pages will do everything they can to hit all the technical marks when it comes to communicating with social networks. This way, when someone shares your content, it comes through automatically with related images, links, titles and descriptions. This page sets the stage for the rest of the site. Here, the map of your company’s social network presence is laid out. Further down, you’ll find a full suite of Share settings. A single configuration manages both per-post share buttons and the persistent share bar, so it only takes a few clicks to customize your options. We’re very proud of our tracker-free sharing implementation. Your users won’t have their information shipped off without their knowledge to any social networks, a common approach which both violates their privacy and slows down their browsing experience. Building a strong landing page may require a unique title, or a description that will catch the eye of users who come across your link on a search engine. Maybe you need to add conversion tracking to a Thank-You page for sales or contact forms. This is where Canopy SEOcial shines. On each page, you can specify individual properties for your marketing campaign. Within the module are tips on best practices and helpers to let you know when you’re being too wordy — or not enough! Of course, all these tools are only made to complement your SEO strategy. Our post on SEO tips and our 4-part primer on SEO should offer more knowledge on the actual content-writing. Posted by Rita on December 30, 2014, updated December 30, 2014.